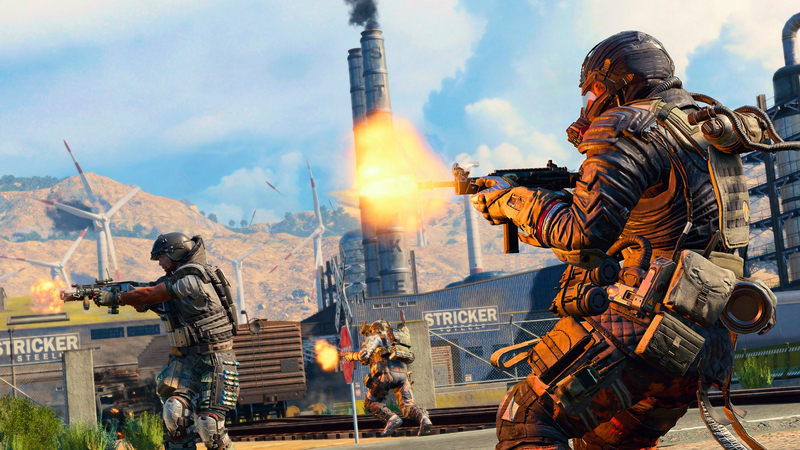 Call of Duty Blackout has arrived on PC and is already garnering heaps of praise. And so it should: it’s a polished, fast-paced take on the battle royale genre. 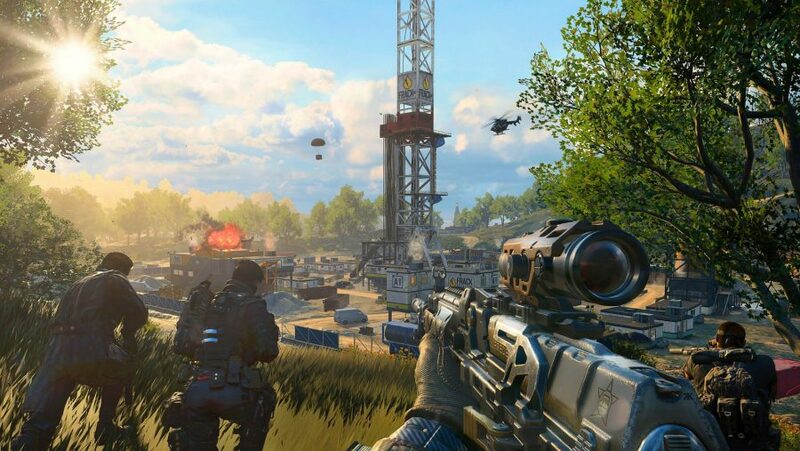 However, even seasoned battle royale players are struggling to adapt to Blackout due to the sheer number of features it already boasts – from zombie areas and helicopters, to gadgets and perks. Getting to grips with this latest battle royale game is no mean feat, so we’ve prepared the following Call of Duty Blackout guide to set you on the path to victory. 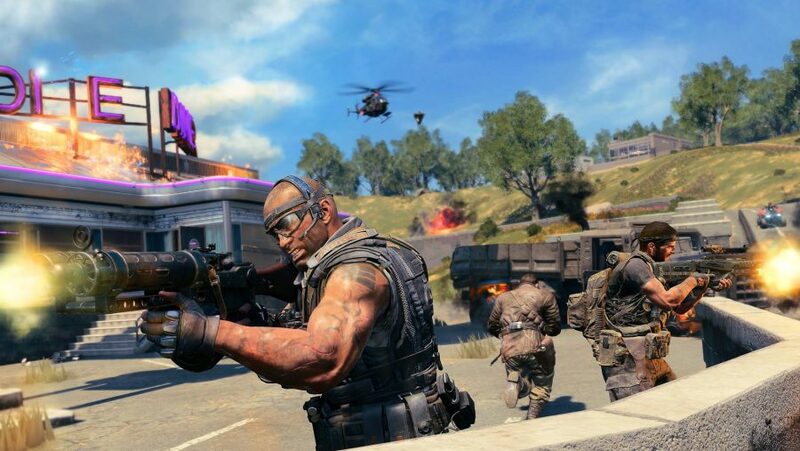 Whether you’re a battle royale veteran, or have been playing Call of Duty games for the past decade, Blackout is very much its own beast, so expect an almighty learning curve regardless of your gaming background. Our Blackout tips will go through some of the basics for those still new to the genre, as well as dive into some of the more advanced tips and tricks that’ll help you drop faster, get the best loot, stay alive longer, and hopefully grab your first Blackout win. First things first: picking a place to drop. 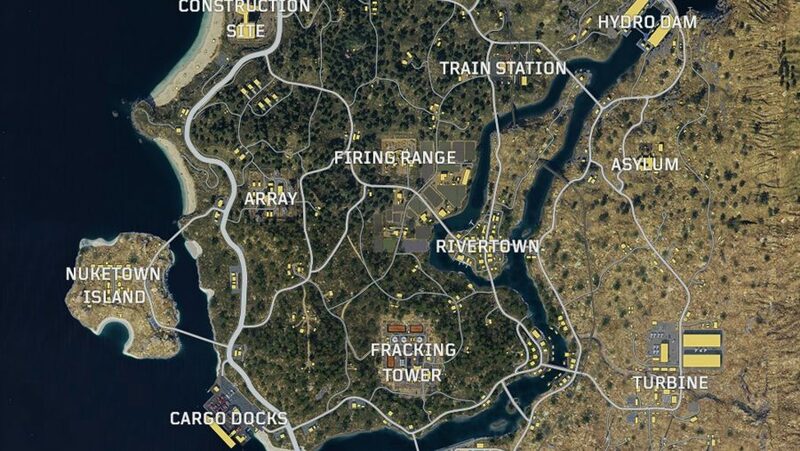 The Blackout map is huge, but you can reach any corner of it with ease from the initial drop point by wingsuiting horizontally, so any location is viable. That said, named locations directly along the spawn flight path will be the busiest and most difficult areas to survive in. If you want to avoid the early-game blood bath then head to a named location that’s far from the flight path – this will guarantee decent loot while also letting you land in relative peace and quiet. You should also drop into busy areas every now and again as this will help you improve your combat skills. Don’t expect to win any of these games, but the experience it gives you will be crucial to winning those late-game battles. 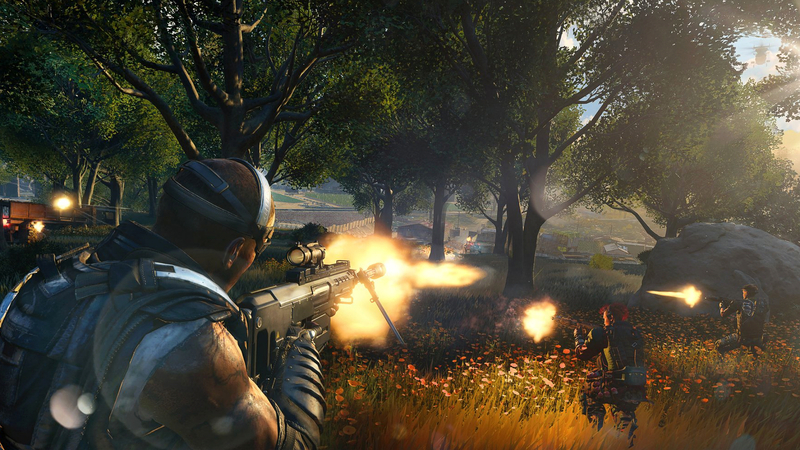 Blackout differs from other battle royale games in that it also has zombie areas, such as Lighthouse and Asylum. In these areas you’ll find zombies that will chase and attack you if they spot you, leading to some very confusing fights. There’s good reason for landing in these areas, however, as zombies can drop rare and powerful weapons, including fully specced-out assault rifles and even the Ray Gun. Zombie areas can also spawn a Mystery Box, which you can find by looking for a beam of blue light shooting into the sky. These contain a bevy of rare goodies ranging from zombie-themed weapons to level 3 armour. Generally, you’re better off picking the unnamed zombie locations on the map such as the graveyard near Asylum, the diner from Tranzit (at the end side of the Nuketown bridge), and the boxing gym from Shadows of Evil (south-east of Rivertown). If you want to drop somewhere far from the spawn flight path then the fastest way to do it is to drop vertically until you hit a speed of 60, then level out. This way you carry a lot of momentum into your long-range dive allowing you to cover ground faster and hit the ground before anyone else. Another quick tip for finding the ground fastest is to make sure you’re over the lowest terrain possible when you open your parachute. For example, if you’re landing at the Hydro Dam you want to dive at the water so your parachute opens at the last possible moment, then quickly swing over to a building while other players are still suspended in the air. If you’ve just hit the ground in a busy area then the only concern you should have is grabbing a gun. You can pick up and immediately equip loot on the floor by hitting the F key, which works whether it’s a weapon, attachment, or item. Or you can press G over attachments to store them in your inventory without immediately equipping it to your weapon. Picking up items is still a little clunky, so make sure you look directly at what you want want to pick up as you pass over it to ensure you don’t miss out on any items. Loot faster by familiarising yourself with the best guns in the game. From Zombies weapons to long-range killers, we’ve listed every firearm you can get your hands on in Blackout. Blackout is very generous with inventory space, letting you carry a lot of ammo, equipment, perks, and healing items before hitting capacity, so don’t be shy. With no regenerating health, you’ll be using healing items often, so keep your stocks of first aid, med kits, and trauma kits maxed out. It’s also worth picking up and carrying whatever ammo you find as it won’t contribute to your overall inventory capacity. Better still, each ammo type has its own maximum cap, so if you fill up on 5.56mm you can still pick up other types of ammo. Alongside ammo, you can carry an equipment item and a healing item without using up any of your five inventory slots. You’ll also want a backpack as this doubles the number of inventory slots you have to ten. Without getting into specific loadouts, you should always have a rough idea of what weapons and attachments you want as you search through buildings, just so you know when to take risks and when to be satisfied with what you’ve got. A solid loadout consists of an assault rifle and a scoped sniper rifle – the assault rifle is good for mid-range fights, while the sniper will handle those tricky long-range encounters and help you scout out new areas. SMGs, pistols, and shotguns are largely useless in Blackout due to the scarcity of short-range fights. In terms of attachments, a 3x or higher zoom scope is an absolute must for taking on distant enemies. Next up you’ll want a suppressor so that you can take engagements without giving away your position. Finally, it’s worth keeping an eye out for a grip or stock as this will make fully-automatic fire significantly easier to control. Struggling to figure what weapons are worth picking up? In terms of snipers, both the Koshka and Paladin HB50 are equally adept at eliminating enemies from far away, however, you can make do with the Auger DMR so long as you have a few attachments equipped. As for assault rifles, the very best guns to look for are the Rampart 17 and Maddox RFB – the Titan LMG is a solid alternative. In its current state, the best possible pickups in Blackout are Trauma Kits and level 3 armour. The former raises your health all the way to 200, while the latter will let you soak up stacks of bullets and even a headshot or two, making both vital in Blackout due to its exceptionally short time to kill. With 200 health and level 3 armour you can win any short or mid-range firefight, and even tank some sniper fire, allowing you to figure out enemy positions, heal up, and rethink your approach. Level 3 armour is also the only armour that reduces headshot damage, making it much, much more valuable than its other forms. These items are quite rare so you’ll have to take a few risks to get both, but they’re absolutely worth it. Lots of players have been ignoring perks in Blackout because their uses are very situational. The best time to use perks is during the final couple of zones as you can stack up multiple perks at once, effectively turning you into a superhero at the time when every possible advantage matters. Looking to find out which perks are worth a slot in your inventory, and which ones your should avoid at all costs? We've got a guide for that. With Paranoia, Iron Lungs, Skulker, Outlander, and Consumer equipped you’ll be able to crouch-walk faster, take less damage from the circle, use healing items faster, hold your breath for longer, and even detect when an enemy is aiming at you – that’s a lot of advantages. There are a couple of perks that you should use as soon as you find them, such as Looter and Stimulant, but for the most part you’re better off saving your perks for when you know they’ll really count. Snipers can kill you with a single shot in Blackout, and thanks to the generous bullet ballistics, anyone armed with one doesn’t even have to be very good with it take you down. Therefore, it’s good practice to vary your movement when moving across open terrain, throwing in a few slides, jumps, and directional changes to dissuade enemies from taking the shot in the first place. Footsteps are very loud in Blackout, so sprinting around in built-up areas is certain to get you killed. If you’re sneaking up on a player make sure to do so while crouching as it’s nearly impossible to hear a player who is crouch-walking until they’re up close. One of the biggest departures Blackout offers from Black Ops 4 multiplayer is that stealthy gameplay actually works in the battle royale mode. Buildings might seem like safe places to hunker down, but every player in the vicinity will be scanning the windows for signs of movement, and should you be spotted it only takes a well-placed grenade to send you straight back to the lobby screen. Being out in the open might be nerve-wracking, but if you stay still and hold your nerve then you’ll be very difficult to spot. This is even more important when approaching the final zone as buildings are where most players will gravitate, making them death traps. Even in a 1v1, being in a building doesn’t offer you any advantages: most walls can be shot through, grenades can be thrown in, and Blackout is only playable in first-person so there’s none of the peeker’s advantage you can get in a third-person shooter. Level 3 armour is the only item that reduces headshot damage. Not many players will be wearing it, which means the quickest way to kill an opponent – as is usually the case – is to connect a couple of shots with their cranium. This will help you win close-quarters firefights and might explain why you keep getting killed so quickly. Vehicles are great for making up huge distances and escaping shootouts, but they’ll alert enemies to your position. Therefore, you should avoid hopping in vehicles unless you’re at risk of dying to the circle or want to capture a tactical position in preparation for the final zone. One notable exception here is the helicopter as you can use it to buy time by simply circling above the map. You can bail out of the helicopter mid-flight and use your wingsuit to stealthily drop back into the action. The Sensor Dart gadget is one of the most powerful items you can find in Blackout, as it reveals evemy locations within a decent radius on your minimap. Better yet, you can attach a Sensor Dart to a vehicle for mobile radar surveillance, or even stick one on a recon drone so you can scout out enemy locations from a distance. The Trophy System gadget will neutralise any incoming rockets and grenades, so if you attach it to a vehicle you can grant your team protection against fiery death by RPG. This is most useful when placed on a helicopter as your whole squad is very vulnerable when in flight due to the lock-on ability of the Hellion Salvo rocket launcher. You’ll see a lot of players wingsuiting off cliffs and buildings in Blackout, but according to the killfeed, there are still a few players who don’t know how to activate their wingsuits. It’s simple: find somewhere to jump off and hold down the jump button instead of tapping it once. There’s nothing worse than dying to the storm in a battle royale game. 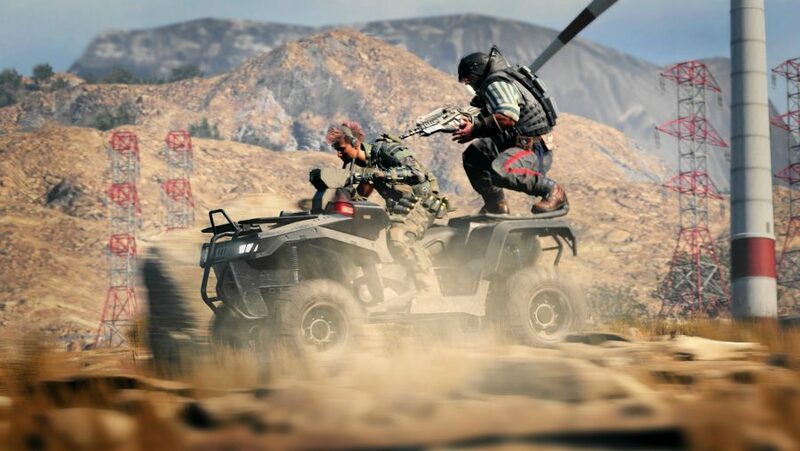 Blackout’s storm is no different in the way that it works than in other games, but you have many more tools for overcoming it at your disposal. For example, you can heal while sprinting in Blackout, allowing you to cover ground quickly while regenerating your health. 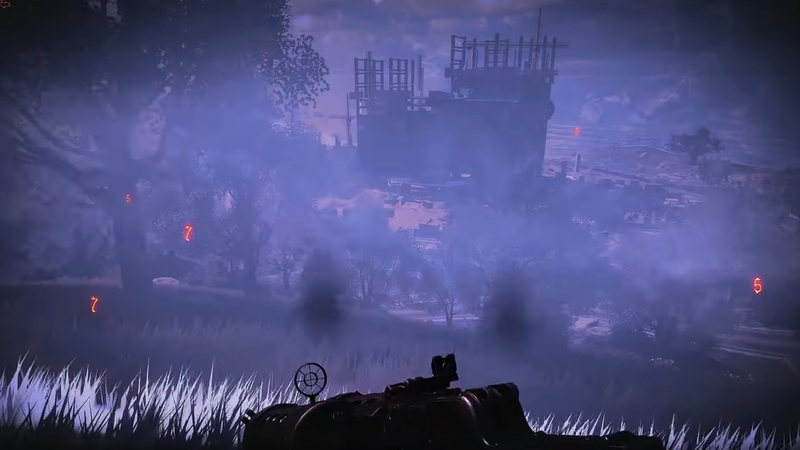 You can also equip perks like Outlander, which massively reduces the amount of damage you take from the storm while also granting you a speed bonus when taking storm damage. Use these mechanics to your advantage by sprinting outside of the circle during the endgame to gain a better position or flank an enemy. Alternatively, with a good stockpile of healing items you can play outside of the circle for minutes at a time, picking up easy kills on unsuspecting enemies who assumed there would be nobody behind them at the storm’s edge.